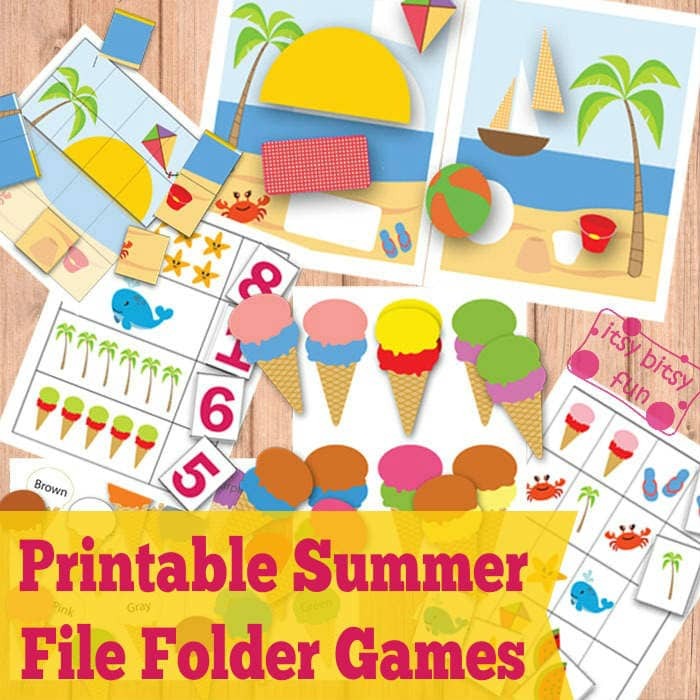 Preschoolers will love these summer file folder games as they will be able to learn through play! There are quite a few different games, from color sorting through pattern sequence to shape matching. As most kids spend the summer at home and learning isn’t really a priority I do think it’s smart to keep their brains busy here and there and if it’s done through play even better! Hope your kids will enjoy these activities! Be sure to check other file folder games and worksheets for kids on the site! 4 sheets of counting from 1 to 10! Print out all pages. Leave the pages with images as they are and place them in file folders or just use as they are. Cut out numbers. Have the kids place the correct number in the empty field next to the images (Velcro works like magic!). 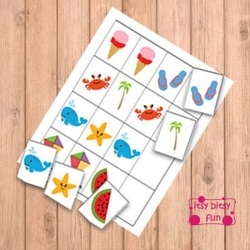 Grab this Summer counting file folder game here. Kids will have to match the objects with the silhouettes on the images in order to complete the whole picture. Grab this Summer shape matching here. It’s always fun to play with ice cream! 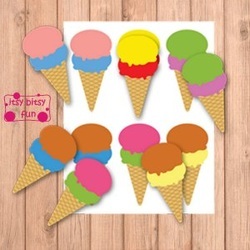 There are two different games in this one – one where bottom ice creams only have colors written on them and kids have to read which color the ice cream should be and place the correct ice cream on top of that. The second one is a bit easier as it has the bottom ice creams are colored in addition to the color written. Grab this ice cream color match here. 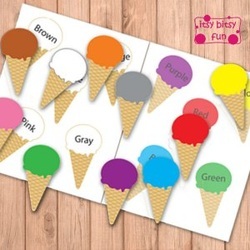 Another color matching game and again with one of the best treats known to man – ice cream! This time kids will have to match two colors – recognizing color patterns. Be sure to print this game twice and cut out the ice cream cones from the second copy. Grab more ice cream fun here. 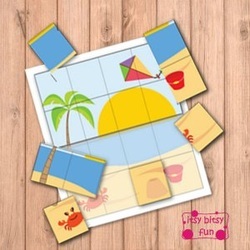 Grab these Summer Puzzles file folder games here. 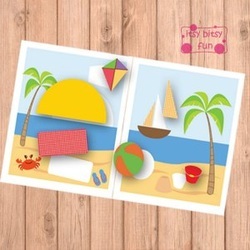 Grab these pattern recognition Summer file folder games here.